What is the best thing to do on a rainy day? Sit inside and read a book! What about a snowy day? Sit inside and read a book! And on a sunny day? Lay outside with a favorite book! 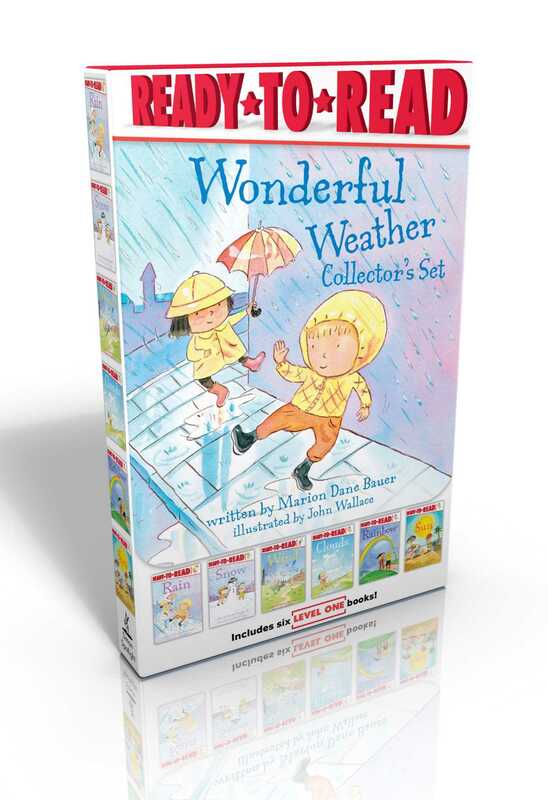 No matter if there is rain, sun, snow, wind, clouds, or a rainbow outside, this boxed set—which includes Rain, Snow, Wind, Clouds, Rainbow, and Sun—teaches beginning readers all about the wonders of weather.